Who says you need to fly the coop to make a positive impact in the world? Meet Beatfreeks: the Birmingham based creative enterprise making socio-cultural waves in the right direction by giving young Brummies a platform to make the world a better place. Self-described as “A collective using creativity for good” – their aim is to provide, for the young creatives and entrepreneurs of Birmingham, channels with which to harness their creativity, express themselves and inspire positive change. The Beatfreeks Collective is a non-profit umbrella of three companies: Free Radical, Young Giant and Doink. Free Radical is a platform which encourages activism and social commentary through poetry, music and performance arts. Previously known as Beatfreeks Arts, this is where the collective originally started in February 2013 as a tiny poetry slam session consisting of a few creative young minds gathered in the Urban Coffee Company cafe in Birmingham. Now, Free Radicals are performing in Birmingham’s Town Hall in front of an audience as large as 600. Young Giant focuses on building “Institutions of the Future” – engaging young people and their talents in an entrepreneurial way by connecting them with big brands to provide fresh and innovative ideas, expressing what young people want and bridging together the old and new to change the face of consumerism. Last year, the organisation won £500,000 in funding from the Heritage Lottery Fund, after working alongside them on a project to test out various ways to make Heritage more inclusive for young people between 11-25. Doink gets its name from a play on words: Do and Think. It’s about humanising data using more creative methods than the traditional pie charts and line graphs. One such Doink project, aptly named “SocieTea” used tea and biscuits to visually demonstrate diversity across cultures to the public. Beatfreeks founder, Anisa Haghdadi, showed promise as a budding entrepreneur at only 15 years of age when she launched an initiative aiming to promote confidence in young people through street dance. She went on to study Business and Management at Aston University and started Beatfreeks as a fresh graduate. 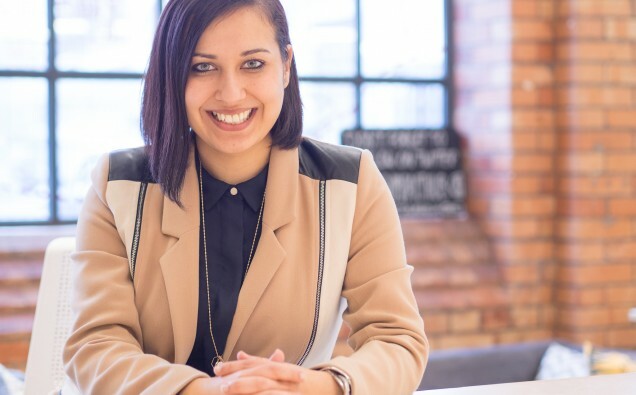 Now at 28, Anisa has been awarded several impressive accolades for her social enterprises, including the 2014 British Empire for Service to Education and Young People. She was also recognised by The Observer and NESTA as one of 50 “New Radicals” inspiring positive change in the UK and won a Sky Academy Arts Scholarship in 2015, acknowledging her as a future cultural leader in the UK. There is a world of opportunity that can be accessed right here in Birmingham, with Beatfreeks holding the door open for young Brummies. So, if you are a young creative person looking for an opportunity to get your voice, skills and talents out there, check out the Beatfreeks website www.beatfreeks.com/join and hit “Join Now” for information about events, workshops, advice, open office and more.